Danzi Boxing is one type of external exercise using hard force. 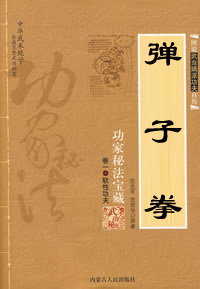 It focuses on the practice of the striking force of the second joint of the fist. The method of this exercise is as easy as Saddle Skill. However, the former focuses on the practice of the striking surface of the fist and the latter aims to the practice of joints of the fist. 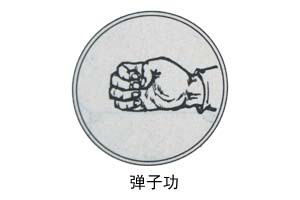 Clench fist as circle, bending the first joint of fingers to the end of fist without curling. Parallel with the back of hand and bend the thumb to the center of the palm just as grappling in Catch and Hold Skill. After doing that mentioned before, strike out the outshoot of the fist. At the beginning of training, it is better to strike the fist on a flat wooden board, with bending elbow and smashing fist out. As the use of joints of finger, it is easier to hurt finger. Therefore, this skill is to be practiced from easy to difficult and complicated, from soft objects to hard ones gradually. Don’t be anxious to make success. First practice the skill using a solid wood, then change it to stone, and finally use iron board. You can be successful if you can hit the iron board using your joints of fingers. It is better to practice your left hand.